"It is your best work, Basil, the best thing you have ever done," said Lord Henry, languidly. "You must certainly send it next year to the Grosvenor. The Academy is too large and too vulgar. The Grosvenor is the only place." "I don't think I will send it anywhere," he answered, tossing his head back in that odd way that used to make his friends laugh at him at Oxford. "No: I won't send it anywhere." Lord Henry elevated his eyebrows, and looked at him in amazement through the thin blue wreaths of smoke that curled up in such fanciful whorls from his heavy opium-tainted cigarette. "Not send it anywhere? My dear fellow, why? Have you any reason? What odd chaps you painters are You do anything in the world to gain a reputation. As soon as you have one, you seem to want to throw it away. It is silly of you, for there is only one thing in the world worse than being talked about, and that is not being talked about. A portrait like this would set you far above all the young men in England, and make the old men quite jealous, if old men are ever capable of any emotion." "I know you will laugh at me," he replied, "but I really can't exhibit it. I have put too much of myself into it." Lord Henry stretched his long legs out on the divan and shook with laughter. "Yes, I knew you would laugh; but it is quite true, all the same." "Too much of yourself in it Upon my word, Basil, I didn't know you were so vain; and I really can't see any resemblance between you, with your rugged strong face and your coal-black hair, and this young Adonis, who looks as if he was made of ivory and rose-leaves. Why, my dear Basil, he is a Narcissus, and you--well, of course you have an intellectual expression, and all that. But beauty, real beauty, ends where an intellectual expression begins. Intellect is in itself an exaggeration, and destroys the harmony of any face. The moment one sits down to think, one becomes all nose, or all forehead, or something horrid. 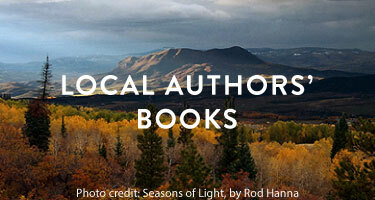 Look at the successful men in any of the learned professions. How perfectly hideous they are Except, of course, in the Church. But then in the Church they don't think. A bishop keeps on saying at the age of eighty what he was told to say when he was a boy of eighteen, and consequently he always looks absolutely delightful. Your mysterious young friend, whose name you have never told me, but whose picture really fascinates me, never thinks. I feel quite sure of that. He is a brainless, beautiful thing, who should be always here in winter when we have no flowers to look at, and always here in summer when we want something to chill our intelligence. Don't flatter yourself, Basil: you are not in the least like him. Oscar Fingal O'Flahertie Wills Wilde (1854 - 1900) was an Irish writer and poet. After writing in different forms throughout the 1880s, he became one of London's most popular playwrights in the early 1890s. Today he is remembered for his epigrams, his novel The Picture of Dorian Gray, his plays, and the circumstances of his imprisonment and early death. In the latter half of the 20th century he became a gay icon. Wilde's parents were successful Anglo-Irish Dublin intellectuals. Their son became fluent in French and German early in life. At university, Wilde read Greats; he proved himself to be an outstanding classicist, first at Dublin, then at Oxford. He became known for his involvement in the rising philosophy of aestheticism, led by two of his tutors, Walter Pater and John Ruskin. After university, Wilde moved to London into fashionable cultural and social circles. As a spokesman for aestheticism, he tried his hand at various literary activities: he published a book of poems, lectured in the United States and Canada on the new "English Renaissance in Art," and then returned to London where he worked prolifically as a journalist. Known for his biting wit, flamboyant dress and glittering conversation, Wilde became one of the best-known personalities of his day. 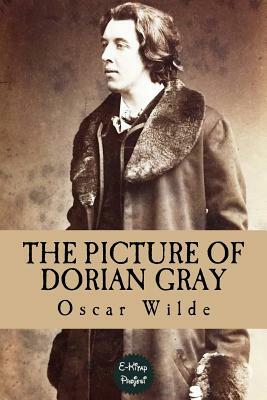 At the turn of the 1890s, he refined his ideas about the supremacy of art in a series of dialogues and essays, and incorporated themes of decadence, duplicity, and beauty into his only novel, The Picture of Dorian Gray (1890). The opportunity to construct aesthetic details precisely, and combine them with larger social themes, drew Wilde to write drama. He wrote Salome (1891) in French in Paris but it was refused a licence for England due to the absolute prohibition of Biblical subjects on the English stage. Unperturbed, Wilde produced four society comedies in the early 1890s, which made him one of the most successful playwrights of late Victorian London. After two more trials he was convicted and imprisoned for two years' hard labour. In 1897, in prison, he wrote De Profundis, which was published in 1905, a long letter which discusses his spiritual journey through his trials, forming a dark counterpoint to his earlier philosophy of pleasure. Upon his release he left immediately for France, never to return to Ireland or Britain. There he wrote his last work, The Ballad of Reading Gaol (1898), a long poem commemorating the harsh rhythms of prison life. He died destitute in Paris at the age of 46.